Izaya X Rio. . HD Wallpaper and background images in the 1Izaya Orihara club tagged: izaya rio izayaxrio durarara drrr anime. This 1Izaya Orihara photo might contain 看板, ポスター, テキスト, 黒板, and サイン. 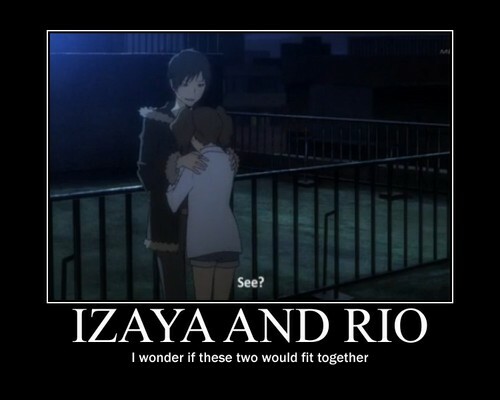 Izaya he's the best never forget!